Twitter, Facebook, Apple - who's letting the government see your info? Each year, the Electronic Frontier Foundation updates its report on how protective and transparent major tech companies are when it comes to governments snooping on user data. In 2015, 24 companies were rated against five criteria, including whether they demand a government warrant for handing over content, whether they publish transparency reports, and whether they tell users about government data requests. The results have shifted over the years, and many of the companies are more protective of data right now than they ever have been. There do remain some holes, however. The worst of the bunch is apparently WhatsApp, which according to the report only meets one of the 'best practice' standards - despite being owned by Facebook. It was also given a full year to prepare for the survey. 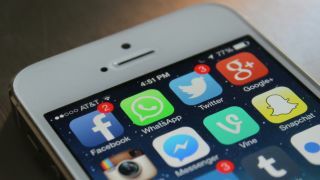 For example, WhatsApp does not promise to offer advance notice to users about data demands, nor does it publicly require a warrant before giving information to authorities. We've contacted WhatsApp for a response. Elsewhere things are looking a bit brighter, but with space for plenty of improvements. According to the report, the best-performing companies when it comes to keeping your data safe from government eyes include Adobe, Apple, Yahoo and Dropbox. You can see the full report here, which includes a number of links to company reports and transparency guides at the bottom. "While we're only able to judge a small selection of the tech industry, we believe this is emblematic of a broader shift," the report concludes. "Perhaps invigorated by the ongoing debates around government surveillance and in response to growing public attention around these issues, more and more companies are voluntarily speaking out about government data requests and giving users tools to fight back."